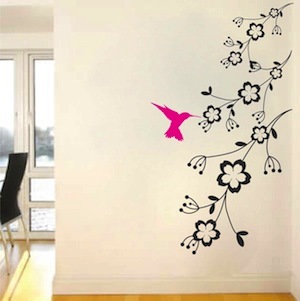 The Hummingbird Feeder Wall Art Design can turn your plain room into something extraordinary in minutes! Why waste time, money, and energy with painting when the Hummingbird Feeder Wall Art Design has saved you all of that trouble? Designs have many options for orientation that give you the flexibility to change and reposition to your taste if necessary. Try to get a painter to do that! 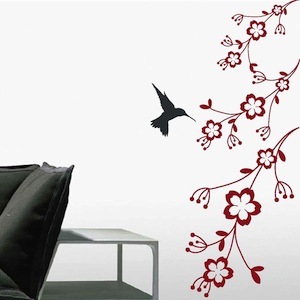 The Hummingbird Feeder Wall Art Design is made from 100% interior safe, removable vinyl that appears painted right on the walls! Perfect for permanent or temporary decorating! 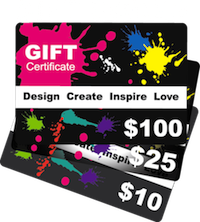 This design is customizable for both right and left corners. Choose the hummingbird and flowers color. This design looks beautiful in our living room. It gives a great pop of colour. This design was a bit harder to put up than our other designs, but with a bit of patience turned out great.